Drugstore and houshold articles became more important for revenue and customer commitment even for independent retailer in the local supply. zentrada connects efficient suppliers with a high amount of buyers and allocates in this way a huge selection and supply of brands and discount products in the segment of body care and household, which you can purchase already in small amounts to really cheap prices and without any future purchasing commitments. provide you extra revenue and customer commitment with the daily demand in the local supply. In the most cases complement brand and discount offers from body care, cosmetic, health care, wellness and perfumery the customer needs. as consumption and usage goods are still a big part of the non-food segment with a mixture of well known brand products, discount articles and product ideas. Beside the selection of necessity products are product inovations are an important way to success. create trust and customer commitment in the consumer good trade and can be sold at any price level. However is it also possible to market no brand offers as really worth the money and successfully in the local supply. provide you a summery and access to more than 30.000 current offers in the department drugstore products, cosmetic, household and kitchen products. The search funktion on the zentrada websites makes the European-wide product research and price comparison with many different suppliers possible. The categories invite you to search and compare products, and offer an unique variety of product ideas and assortments with a direct access to the wholesale shops of our suppliers in the zentrada.network. Moreover, zentrada gives you the opportunity to build easliy broad assortments with small amounts from different suppliers and manage them without a lot of effort. 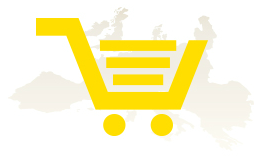 Benefit from the continuousily growing supply and experiences in the leading network for the online wholesale in Europe. Giant selection, better prices and easy processing for shortterm orders with small amounts are only possible with the efficiency of the Internet. zentrada gains new and efficient suppliers who open you through the Internet and zentrada to Europe all the time and increases the supply in all price segments. Your zentrada memberships opens you the door to more than 100 supplier shops with current assortments and prices that you can compare and order easily online. Furthermore, customer evaluations, feedbacks and rankings inform you about the strengths of suppliers and products. The free TradeSafe order processing guarantees supplier and buyer safety and efficiency advantages and makes the online order and reorder management easy and convenient, even with many different business partners. The demand for drugstore products and household goods is realy multifaceted and therefore is the width of your assortment one of the most important factors for success. But you also can´t affort big inventories and risks. zentrada obligates their suppliers to small minimum order quantities and values, so that you can order many products to good prices also without a big capital expenditure. The mechanism of the order plattforms, news alerts and recommendations perfectly support you and your needs in a flexible purchase. Only a high amount of suppliers ensure you a big selection, better prices and consequently your independence and your business success. The technology of the internet and zentrada provide you essential advantages in the wholesale purchase which you can receive exclusivly as a member. Benefit form the European-wide research, price comparison between the suppliers and many ideas and rankings. Your TradeSafe order cockpit provides you a complete summary of all your suppliers, shopping carts, offers, orders and reorders. The order processing and paying through TradeSafe offers you and the supplier advantages in the processing and guarantees an additional Buyer Protection. In this process, the supplier doesn´t receives the money until he delivered successfully. The TradeSafe customer service would work on a fast solution, if any problems occurred. The Retail Industry with Drugstore and Houshold Goods lives on Varity, Customer Focus and constantly new Product Ideas in the Supply. The daily demand of consumer goods creates additional revenue and customer loyalty with enough frequency. Besides the suppliers that offer a complete assortment, more and more retailer start to offer a small assortment of drugstore and household products. The important factors for success are the range of the assortments and the mix of brand and discount products. Long ago the assortments start to complement one another to a perfect target group supply. 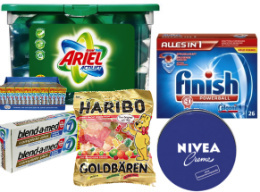 Cleaning products and household goods, household goods and decoration, fashion and cosmetics, sport, wellness and care products... nowadays you can combine a big variety of goods and purchasing reasons to one cross promotion. Cheap products, promotion or season goods stay untroubled from the online competition in the long term and have a big potential in the local trade. Today, more than 350.000 retailers have with the wholesale network from zentrada access to more than 1.000 importers, producers and wholesalers from all over Europe with more than 400.000 trend products, assortment products and remnants. Drugstore & Household Goods are one of the big key aspects of the online wholesale on zentrada and have therefore their own Product Group. Drugstore & Cosmetic as well as Household & Kitchen with supplier rankings and bestseller overview. 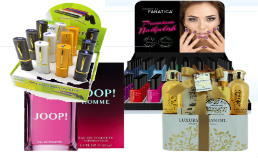 The wholesale supply is huge and ranges from hygiene products, crèmes, shampoo, make-up, perfume, wellness and massage products to hair decoration, reading helps, manicure and pedicure. Also the daily demand in the household is already defined: batteries, cleaning supplies, detergents are norm. 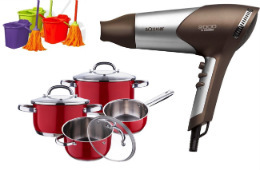 Furthermore, also lighteners, dishes, cups, cans, knife sets, dry goods or electronic goods, incl. coffee and espresso machines are part of the assortments or promotion products. ,this are the top search terms on zentrada and are available as assortments, promotion goods or remnants to great prices. But besides that we also offer a lot of B-brand and No-brand products, innovations and product ideas in the lower price level for the retail trade.